Pokemon Go is huge. Yes, in fall of 2018. In fact, the game is as popular now as it was upon its launch some two years back. It’s a money-making monster and people can’t get enough. Why is Pokemon Go so popular now? There are plenty of reasons. For starters, there’s no fewer than 350 Pokemon available to catch. New characters are added all the time and the fourth generation appears to be on the horizon. Then there’s Community Day, regular events, friends, trading, and more. Ask some of the more savvy or long-term players how they were able to hit the high 30’s or level 40 and you’ll find a common thread. It’s not entirely about grinding or paying for advantages. Indeed, there are a number of ways to gain an upper hand on catching Pokemon or leveling up in Pokemon Go. We’re talking about apps. Chances are high that the guys you find occupying gyms and taking down raid bosses are using other apps. We’ve gathered up some of the best apps you can find to enhance your Pokemon Go experience. Installing one or more of these is sure to help you not only learn more about the game itself, but how to take advantage of it. This one might sound familiar to you as it’s used for much more than Pokemon Go. Really, it’s not so much of an app as it is a service that works across platforms. This just happens to be the Android client of the popular tool. Many of the loyal players in your area are using a social network to communicate with each other. This is the preferred means. Is a raid about to go down? Share the location and details with people in your community so they can coordinate a meet-up. A rare Pokemon spawned in the middle of a parking lot at 1AM? Let your buddies know where to get Lunatone before it goes away. A lot of groups have broken their Discord group into channels with information sharing, friend codes, gatherings, and more. If anything, use it as a way to monitor the goings-on without having to be physically present. Discord is free to download and use; an account is required to log in. 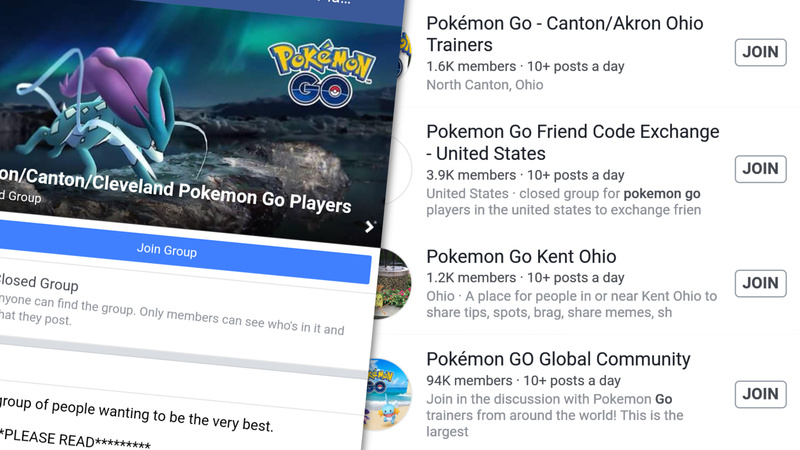 Also worth noting is that many of the Pokemon Go groups are private and/or invitation only. Given there is always something going on in the game, it can be difficult to keep up. Which Pokemon types are spawning more now? What’s the difference in Field Research and the various rewards? Which Pokemon can be shiny? 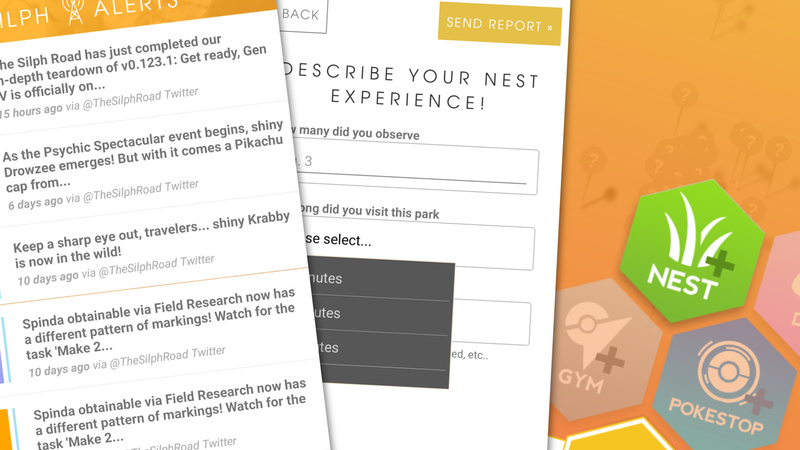 GO Ranger is an excellent resource for all things Pokemon Go. Not only does it provide you with the answers to the aforementioned questions, but it also keeps track of plenty of things, too. Upon opening the app you’ll be greeted with a list of current events. You can see at-a-glance which legendary raid bosses are available and for how long. In the middle of an ongoing festival or event? How about a nice timer that counts down the days and hours? Hit up the Field Guide for helpful information on which Pokemon can be found in eggs, which might be a Ditto, or what creatures can nest. 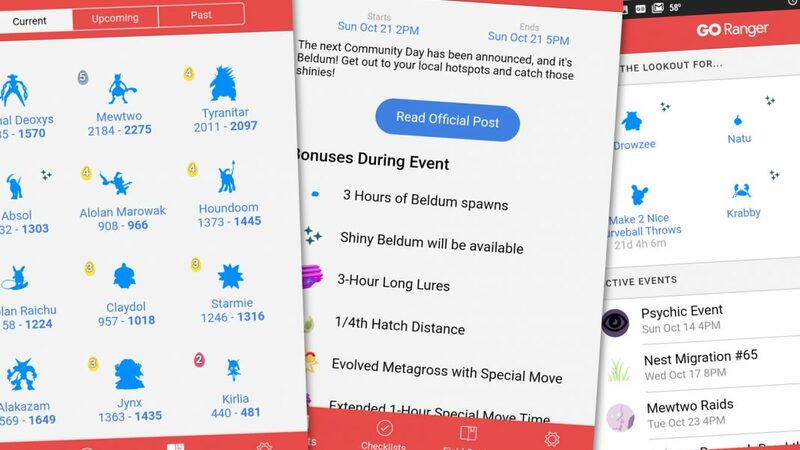 Moreover, you can see how long you might have to walk your buddy for candy, identify who might be in an upcoming raid, and how to prepare for them. We love how easy it is to figure out who we’ll counter a boss with based on its weaknesses or weather conditions. The checklists section lets you create and update lists on a variety of topics. On the hunt to collect all regionals, shiny, or a particular region? Easy peasy. Maybe you want to track those you have available to trade. Whatever you wanna do here is fine. GO Ranger is free to download but is supported via the occasional display ad. If you’ve ever played Pokemon Go at a park, you likely noticed that there were particular types that continue to spawn over and over. These “nests” rotate every two weeks and provide players with an opportunity to stock up. Instead of going all the way over to the park only to find out that it’s Doduo you can save yourself some time and aggravation. 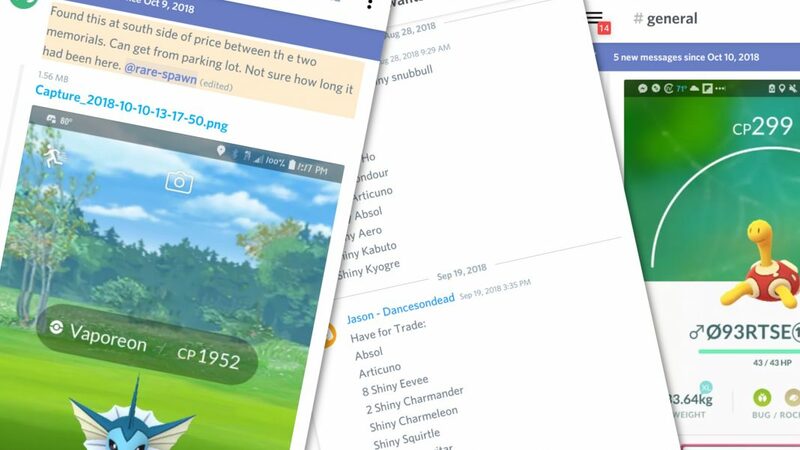 Players just like you are sharing their findings with the community and are only too happy to spread the word on the latest nest Pokemon. The Silph Road app lets you check a map of nests and see which types are spawning. You might have some rare or missing Pokemon just a few miles from you. Don’t just take from the app, give back, too. Provide your own feedback and insight. How many did you find and how long were you there? Share the information and other players can benefit. The app also gives you access to the latest in game news and overall research. It’s a great way to learn more about how Pokemon Go works, how to gain an upper hand, or what direction to take. The Silph Road is free to download and use; you’ll need to create an account or validate with your Reddit account. Seasoned players know that Pokemon aren’t just about how high of a CP you can find. No, each one has its own unique individual value, or IV. Using a combination of Attack, Defense, and Stamina, the score determines the overall strength of your Pokemon. Sadly, you’ve probably tossed away some potent Pokemon, thinking that the low CP meant it was weak. Instead of relying on the in-game appraisal system and trying to guess at power, go with an app like Calcy IV. 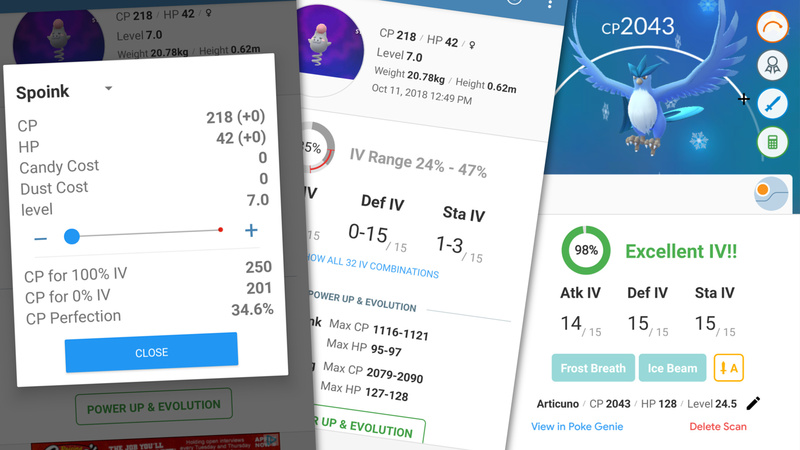 This app lets you check the IV levels of your Pokemon, and it does so much more. Use it to learn raid boss weaknesses and possible moves, or how to counter it with your own monsters. Additionally, you can use it to quickly rename your Pokemon for better identification based on a variety of factors. This is one of those apps that gets better the more you play around with it. It can work as just an overlay atop of Pokemon Go or you could dive deep and really get a feel for your roster and its potential. Download Calcy IV for free from Google Play and get started today. Ever wonder how much CP your Pokemon will have should you power it up or evolve? How much stardust and candy will you need to max out that Snorlax? Use Poke Genie to figure it out — it only takes a few seconds and can really change the way you’re playing. Poke Genie is not really all that different from Calcy IV in the big scheme of things. We like the look and feel of this one as it does have a slightly more modern aesthetic. That’s not to suggest, however, that it’s any better than the aforementioned client. If you’re serious about growing a better roster of pocket monsters, and want a leg up on battles, consider this one. Poke Genie is free to install but includes advertisements. Yeah, we’re talking about Facebook. Why? Because that’s where a lot of players go to communicate and organize. It’s a pretty safe bet that there’s a community or page based in your area. Be it major metro markets, counties, cities, or even townships, there’s probably a group of people convening right under your nose. We imagine you already have an account for Facebook. 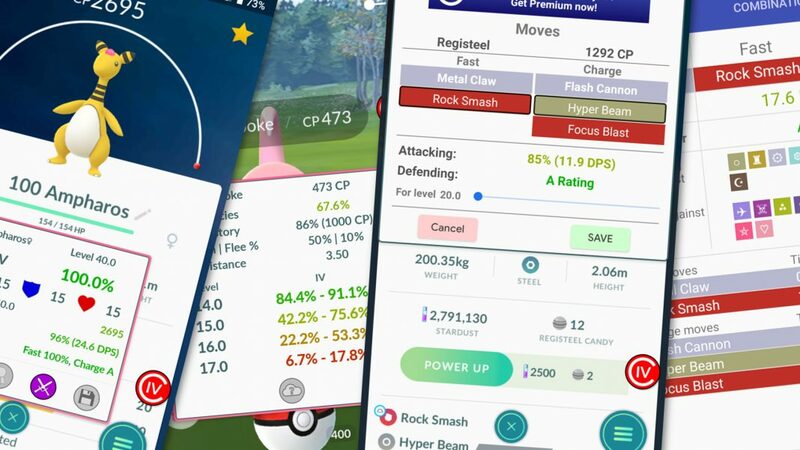 Start using it for Pokemon Go and you might be surprised at how much more efficient you are as a player. Download Facebook for free from Google Play.